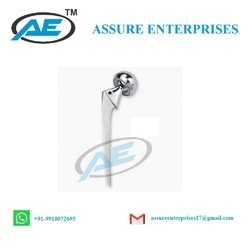 Pioneers in the industry, we offer thompson hip prosthesis, bipolar prosthesis, modular bipolar prosthesis, austin moore prosthesis and bipolar fenestrated from India. 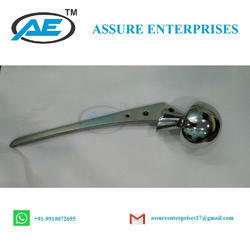 We are manufacturer of hip prosthesis in good international standard quality. We have big range of it. We offer Thompson prosthesis with sterile & Non-sterile both. 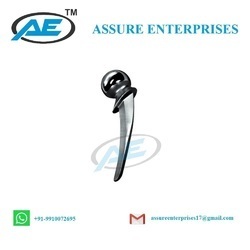 We are manufacturer of ASSURE ENTERPRISES Company is made of Bipolar Prosthesis in Fenestrated & Non-Fenestrated Both in High standard quality Product. We have available sizes 37mm up to 58mm with 1mm Difference Between. We have sterile & Non Sterile Both in SS 316 L Material. 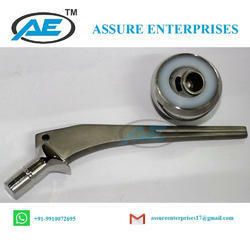 We are manufacturer of hip prosthesis in good international standard quality. We have big range of it. We offer Modular Bipolar prosthesis with sterile & Non-sterile both. 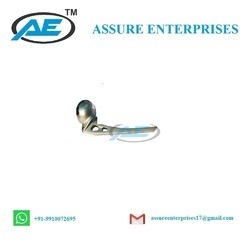 We are manufacturer of hip prosthesis in good international standard quality.we have big range of it.we offer austin moore prosthesis with sterile & Non-sterile both. We are ASSURE ENTERPRISES manufacturer and exporter of Bipolar Prosthesis in Fenestrated & Non-Fenestrated both available in high international standard quality . It is available in sizes 37mm up to 58mm with 1mm difference . We have sterile & Non Sterile Both in SS 316 L Material.